BubuBibi - www.bububibi.com - Bamboo Cloth Diapers: Laynson turned ONE! Thank you so much for all your prayers. Laynson turned ONE! Thank you so much for all your prayers. Thank you so much for all your prayers, Laynson turned ONE on April 29th! After a long road, we finally came home at 5 months and 2 days. Of course, the rest of the 6+ months wasn't as smooth as we hope for it to be. We had 6 ER visits and 2 hospitalizations. It was scary, we thought we lost Laynson but again this fighter is not giving up. 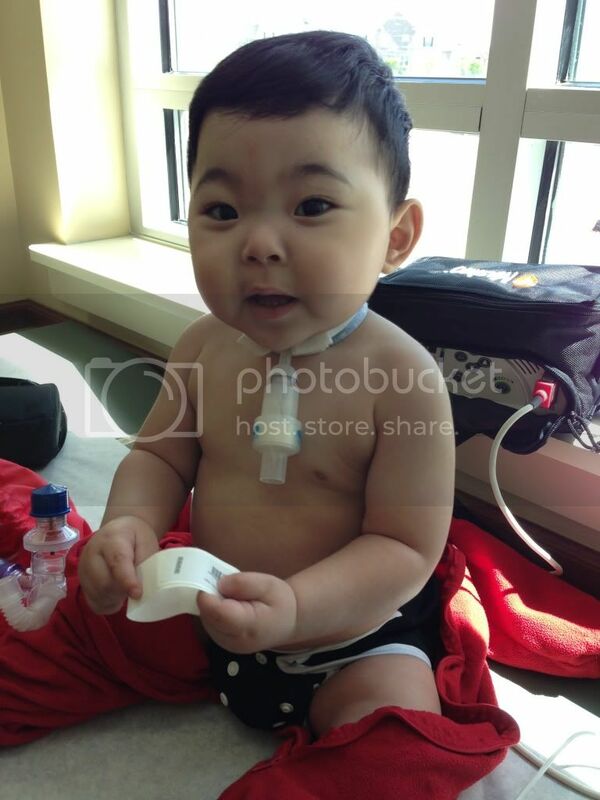 Thank you so much, here is a picture of Laynson in our Bububibi Black Diaper Cover. We shall post more of his birthday pictures shortly. Welcome home Laynson! We had one in the hospital for a long time as well, and it CAN be scary. Will continue to pray for his good health. Bebé precioso! Every time we use the green diaper we think about him. We pray for him but especially for mama and we send kisses from Costa Rica!